KC Brains Crystal Limit is a stable indica/sativa hybrid of two potential marijuana strains, Crystal and K.C. 606, and one of those cannabis which has no limits. Her highest qualities have been noticed - she won the first place at the HighLife Cup 2002. KC Brain seed breeders created this marijuana variety to satisfy the majority of the cannabis growers and smokers. Crystal Limit took the best qualities from both parents, an easy growing and fast flowering and maturing from KC 606 and a unique, sweet aroma, great yield of crystals and hitting high from Crystal. Cannabis seeds of this cannabis are thoroughly selected and produce nearly 80% of germination. 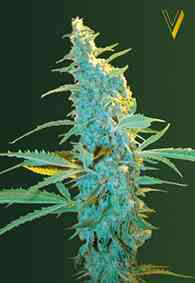 They grow into short bushy plant with narrow and light green, typical indica looking, leaves. They inherited KC 606 ability to resist attacks of pests and mould and can produce large sticky buds under almost any conditions. Flowering takes no longer than 9 weeks, then the newly forming buds will enchant you with sweet, slightly hash aroma. KC Brains seeds breeder made sure that the seeds of Crystal Limit were suitable for both indoor and outdoor cultivation. You can start your outdoor harvest already at the end of September and carry out through October. Outdoor plants can stretch up to 2-2,5 m whilst indoor stay as petite as 80 cm. No matter where you decided to grow her and how long she grows, the yield remains astonish high - up to 500 gr. per indoor plant and up to 800 per outside one. The mature buds are big and sticky, covered with long shiny crystals full of THC which can reach the level of 20%. Like any other indica dominated marijuana variety, Crystal Limit gives an effect of a pleasant body buzz. She is great for relaxation, stress relief, and for an overall sense of calm and serenity. 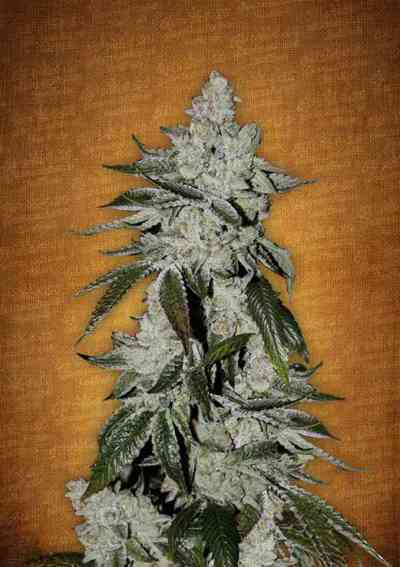 As an indica, she is also very effective for overall body pain relief, and often used in the treatment of insomnia. They are the late - evening choice of many smokers as an all - night sleep aid. However, if overdone, might cause the couchlock effect, enabling the smoker to simply sit still.